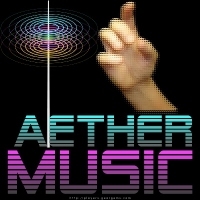 This “Aether Music” design will appeal to aficionados and admirers of the Theremin, that mysterious sounding early electronic musical instrument invented by Leon Theremin (Lev Sergeivitch Termen), which one actually plays without touching, but by interacting with his or her hands and the instrument’s antennae to manipulate an oscillator and control the pitch (frequency) and loudness (amplitude) of the electric signals, producing its unique, eerie sound. Proclaim your Theremin love! Buy this design now on any t-shirt, hoodie, tote bag, mug or other quality giftware or apparel, exclusively from GearGems! Also see our Theremin is my Therapy design, and click this link to see more Theremin-related designs and gift ideas.